New York state Senator Greg Ball (R, C, I – Patterson) welcomed me -- I'm a former SeaWorld killer whale trainer -- to the State Capitol during last week's Fourth Annual Animal Advocacy Day. I was recently featured in the documentary "Blackfish," and I joined Senator Ball and Assemblyman Tedisco in Albany to speak in support of Senator Ball's "Blackfish bill." I've had a 14-year career training killer whales for SeaWorld of California, SeaWorld of Texas and Marineland in the south of France. I resigned from SeaWorld on August 17, 2012 and, only seven days later, flew to Seattle to be interviewed for the Sundance-selected documentary "Blackfish." In my 14 years at SeaWorld, I've witnessed firsthand the exploitation of these whales for profit. SeaWorld simply could not give them what they needed to thrive in captivity. 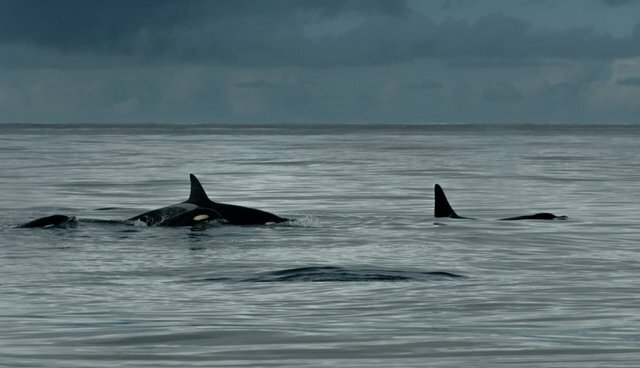 I'm sharing my experiences in the hope that captive breeding, artificial insemination and the practice of keeping killer whales in captivity will come to an end. The historic legislation currently being proposed in both California and New York is one more way to spread this message. Lawmakers introduced the legislation after the documentary "Blackfish" highlighted the captivity of Tilikum, an orca whale who has been in confinement for the past 30 years. The documentary shows how large marine animals can develop health issues and become agitated from living in aquariums, sea parks and other confined spaces. If passed, this legislation would ban the possession and harboring of killer whales in New York State aquariums and sea parks. "We are very grateful for John Hargrove's support of our 4th Annual Animal Advocacy Day. John's testimony and insights in support of our "Blackfish" bill were greatly appreciated and have helped raise awareness for this important cause," said Senator Greg Ball. "The documentary "Blackfish" opened a lot of eyes to the conditions orca whales are often subject to when they are held captive. These are huge, intelligent and majestic creatures and it is an atrocity that they sit captive in oversized tubs. We want to send a message as a state that we will never allow this type of cruelty in New York." I am grateful that people in influential positions like Senator Ball and Assemblyman Tedisco care about this issue and are taking it to another level. I believe that at the end of the day, this is how we will stop SeaWorld and this outdated practice of enslaving these majestic, supremely social and intelligent animals that are truly suffering in captivity all for profit and exploitation. When I was made aware of all the great things being done for animal welfare by Senator Ball and Assemblyman James Tedisco such as the statewide animal abuse registry list, I instantly knew I wanted to be part of this and help in any way I could. A statewide animal abuse registry in New York would contain the names and addresses of persons convicted of violating "Buster's Law," thus preventing ownership of another companion animal. "Buster's Law" has come a long way since it was passed 1999, in response to the case of a brutally tortured and killed dog, for whom the law is named after. But, in its current state, the law isn't strong enough. The statewide animal abuse registry has passed the Senate multiple times but failed to pass through the Assembly. But Senator Ball and Assemblyman Tedisco will not stop until it does. Senator Ball said, "Those who commit crimes against animals represent some of the worst kinds of people, and often expand their carnage to their neighbors and the larger community." Animal abuse is a fine predictor of how a person will treat their peers. Research indicates violence against animals is a bridge crime that can -- and has -- led to violence against people. There is often a direct correlation between domestic violence and animal cruelty. This year, the event brought together law enforcement Saratoga County Sheriff Michael Zurlo, two K-9 units, County District Attorney Robert Carney, who originally prosecuted and inspired the passage of "Buster's Law," and New York animal advocacy groups, as well as rescue organizations and shelters. The true stars were the animals -- a dog from Afghanistan that was adopted by a U.S. Special Forces officer and various disabled pets needing special equipment to allow them to walk; one of the "railroad puppies" that was nailed to the railroad tracks in Albany was also present. In SeaWorld news, SeaWorld hired two high-profile lobbyist firms to fight the legislation in New York. The California legislation, which I've co-sponsored, is still ongoing and is currently in interim study. I testified before the California State Assembly in early April, alongside Dr. Naomi Rose and Dr. Giles, for this proposed legislation in California, known as "The Orca Welfare and Safety Act." Only 3 days after our testimony before the California State Assembly, the U.S. Court of Appeals in Washington, D.C., denied SeaWorld's appeal in the OSHA case and chided SeaWord, saying, "SeaWorld acted irresponsibly and violated their duties as an employer." Attendance at the SeaWorld parks is down 13% first quarter over first quarter last year which was also down as their stock value slips to very near their 52-week low.